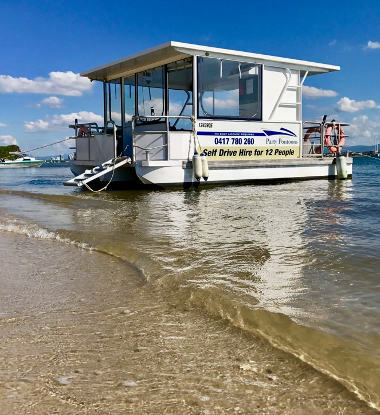 You need no boating skills to enjoy a day on the Gold Coast Broadwater with an experienced guide as part of the crew. Our hire boats are usually self drive because no license is required but we can offer a guide to travel with you. 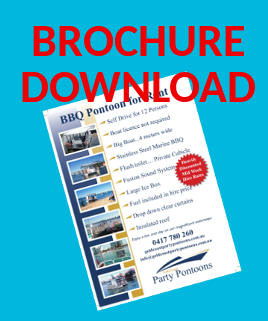 (additional cost) This takes all the stress away, and you will learn how to handle the boat and gain experience that will give confidence to hire on your own at a latter date. Stress is the last thing we want you to experience. Boating is a seriously fun activity, let us introduce you to this wonderful lifestyle. 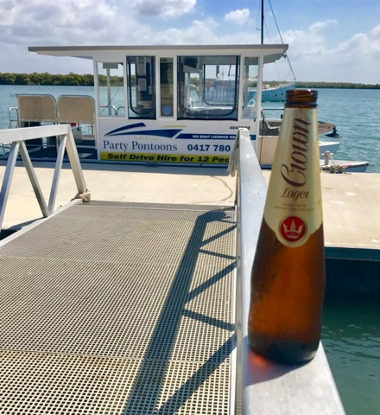 Our "skippered" hire can include an onboard guide for the whole hire period, or we can take you to a great spot on the Broadwater, and see you safely moored and then return to guide you back at the end of the day. 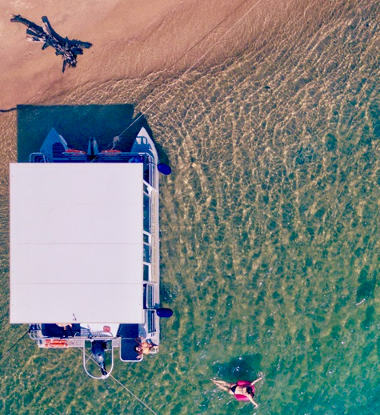 With either option our experienced guide can take total control of the vessel while you relax, or your can self drive under our expert guidance so you have the full experience without stress or risk. Our guides know the Broadwater like their own backyard because, well it IS their own backyard. They can show you the best places to cruise, the best places to fish and the best places to moore for any weather coonditions.